Many different tree species are used for bonsai cultivation, some of which are prized for their unusual growth, some for their lovely foliage and others for their showy flowers. The term “bonsai” translates to “tray growing” or “tray planting,” referring not to miniaturizing plants but to growing them in containers. 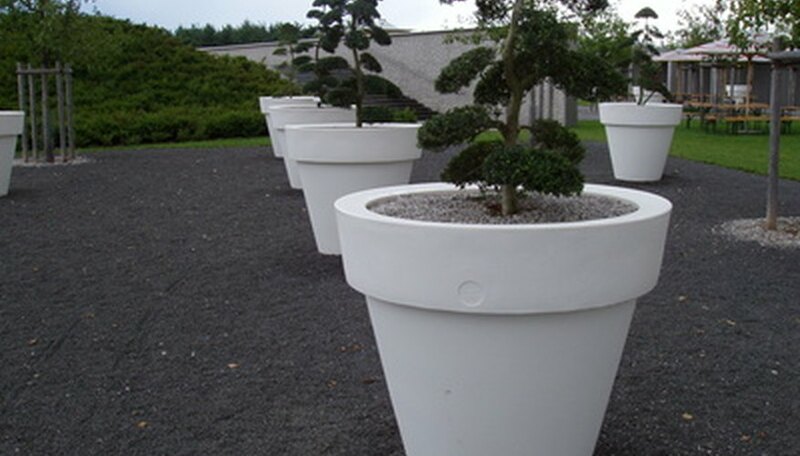 Bonsai trees are often kept at a smaller size than their full natural sizes and are trained to grow in a variety of angles or shapes using special pruning techniques and wiring. Trees used for bonsai cultivation may be deciduous, evergreen, coniferous, fruiting or even vining. Determine whether the bonsai tree is evergreen or deciduous. 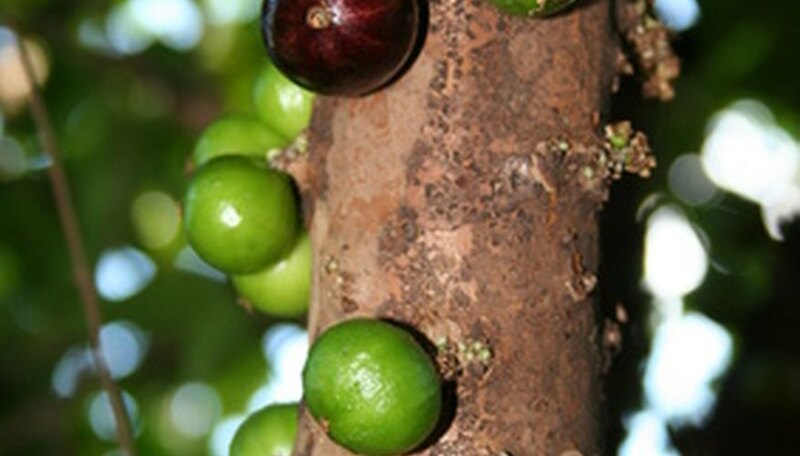 The Chinese bird plum is a semitropical evergreen, while many hollies can be deciduous or evergreen, depending on the species. Other evergreen bonsai trees include the brush cherry, Okinawa holly, Fukien tea, boxwood, jade tree and lavender star flower. 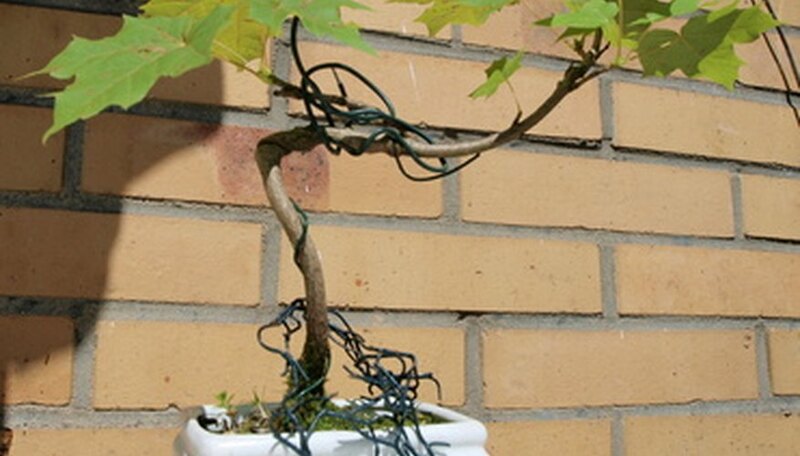 Identify deciduous bonsai trees, meaning that they lose their leaves during the cold season. Deciduous bonsai trees include the trident maple, flowering quince, dwarf pomegranate tree, flowering crabapple, Zelkova, Japanese maple, rainforest fig and cotoneaster. 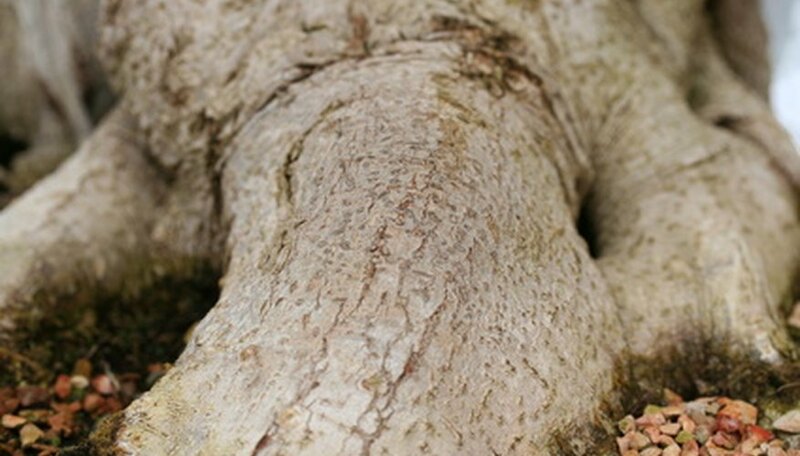 Determine whether the bonsai tree is coniferous, or needle-leaved. Coniferous bonsai trees include the Shimpaku, Hinoki cypress, Japanese white pine, juniper and Japanese black pine. Study the bonsai tree's flowers. The Jaboticaba, Chinese bird plum and hollies bloom in clusters of white flowers, the brush cherry has puffy white flowers and the star magnolia has white, star-shaped, 5-inch-wide flowers on bare branches. The jade tree produces star-shaped, white flowers in the fall, while the cotoneaster has delicate white blooms in the spring. Look for multicolored or non-white flowers. The wisteria blooms in a mixture of white, pink, purple or blue flowers, the azalea has 7-inch-wide, bright-pink flowers, the flowering quince has white and red flowers on bare branches, the camellia has showy pink flowers, the fuchsia has vibrant purple and red blooms, the dwarf pomegranate has orange-yellow, trumpet-shaped blooms and the Okinawa holly has tiny pink flowers. Study the bonsai tree's bark. 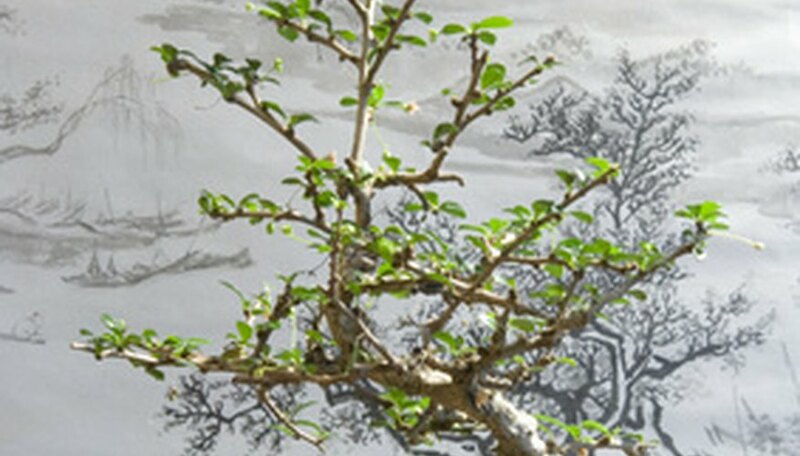 Jaboticaba bark peels off and curls as the trunk and branches grow, while the Fukien tea bonsai tree has light-brown bark that cracks as it ages and the Chinese bird plum’s bark turns dark-brown and scaly as it matures. The Zelkova has smooth green bark that turns gray as it matures, while the Chinese elm tree’s bark can range from dark-gray or cream to reddish-brown, and most have rough, textured bark that cracks with age. Look at the bonsai tree’s trunk. The bald cypress has a distinct, thick trunk that develops “knee-like,” above-ground roots when it’s grown in wet, swampy soils, while the ponytail palm's trunk looks and feels like an elephant’s foot. The Hawaiian umbrella tree has banyan-like roots that form its trunk, the trident maple has a thick, strong trunk and the Zelkova’s trunk is straight and smooth. Study the bonsai tree's leaves. 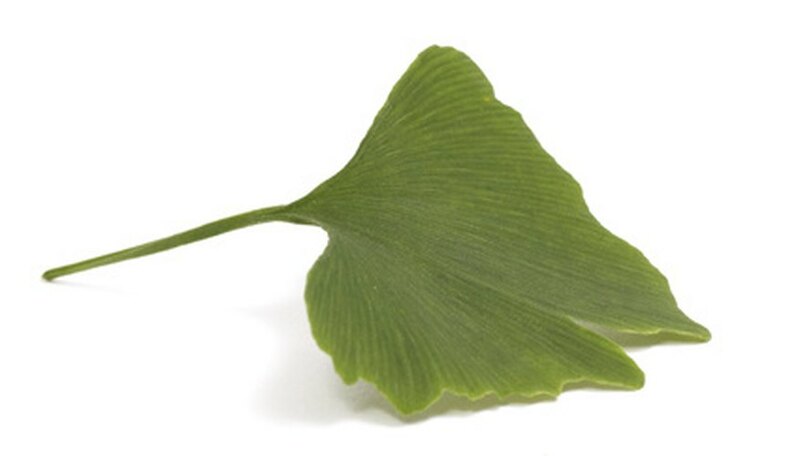 The bald cypress has light, feathery foliage, the Okinawa holly has glossy leaves with serrated edges and the snowbush has large white leaves. The dwarf pomegranate has dark-green leaves with bronze tinges, the Chinese bird plum has shiny medium-green, oval-shaped leaves that are reddish when the tree is young and the brush cherry’s leaves are glossy, small and firm with red highlights. Identify fruits the bonsai tree produces. The Jaboticaba produces dark berries, the Chinese bird plum produces miniature blue berries and some hollies yield shiny black berries. The brush cherry has red berries, the Ginko has yellow, clustered fruits and the flowering quince produces greenish-yellow fruits with waxy, fragrant skins. The dwarf pomegranate and flowering crabapple bonsai trees produce miniature, ornamental versions of the standard-size tree’s fruits, while the Hinoki cypress produces pea-sized miniature cones. Study the bonsai tree's leaf colors in autumn. The bald cypress’s leaves turn orange-brown, the Ginko tree’s leaves turn golden-yellow, the trident maple’s leaves turn to a faded-orange color or a fiery red, the Zelkova’s leaves turn bronze or golden-yellow and the Japanese maple’s leaves turn vibrant golds and reds.